View sample maps (pdf) created by the techniques described. Zoom in to them to see their quality. Lulu often discount books usually in the range 10% to 25% for periods of 3 or 4 days every 2 weeks. Checkout either SWAAG or Lulu's Home pages to see if there is a current offer. All proceeds go to enable SWAAG's work in Swaledale. Unfortunately the cost of colour printing is high, the small profit made when you buy this book goes directly to the Swaledale and Arkengarthdale Archaeology Group to further our knowledge of Swaledale archaeology. Lulu frequently offer discounts for short periods typically 3 to 5 days, and whenever we are notified we include the information on our Home page so you can benefit. Whilst this book is available via Amazon please use Lulu as it benefits SWAAG more. 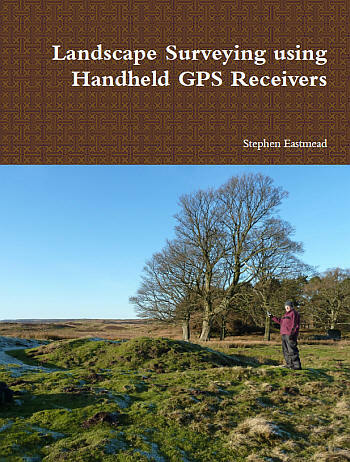 A method of producing accurate archaeological maps has been devised using modern hand held GPS receivers (GPSr). 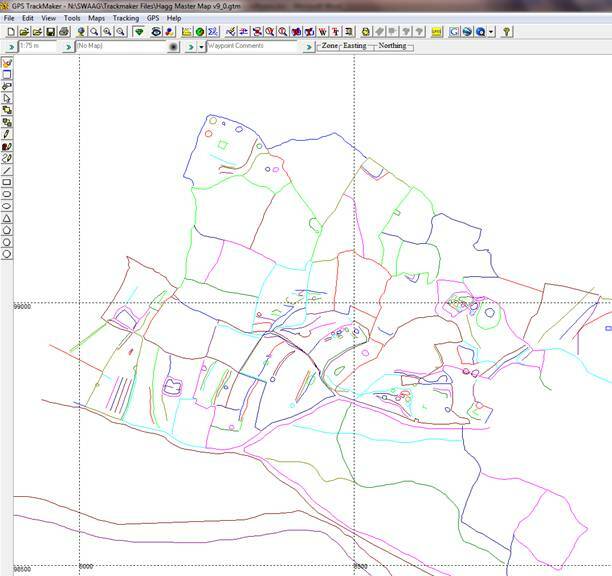 Free or minimum cost software has been used to produce maps suitable for publication. Figure 1. 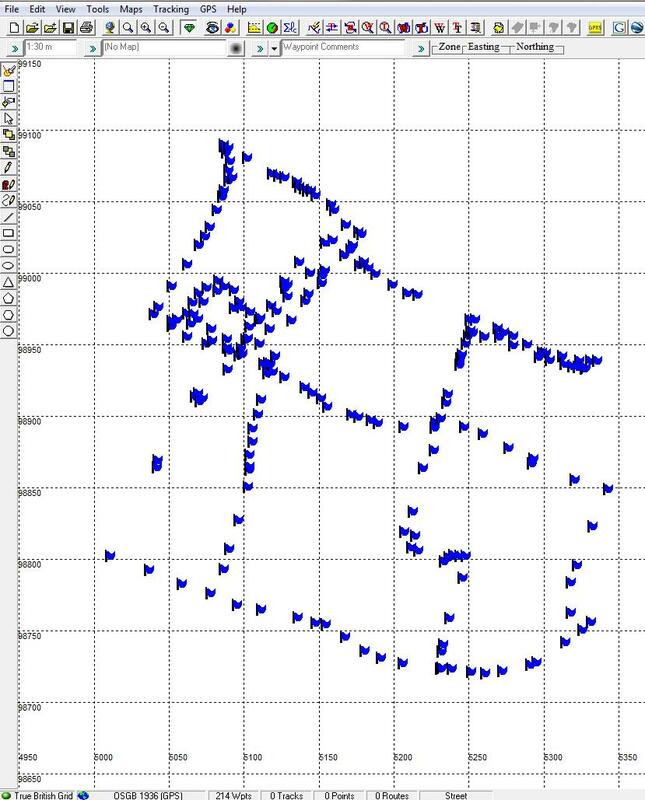 Survey data as it is downloaded from your GPS receiver (GPSr) into free software (see below), where appropriate waypoints are linked with lines. Figure 1 data is on the western side. Figure 3. 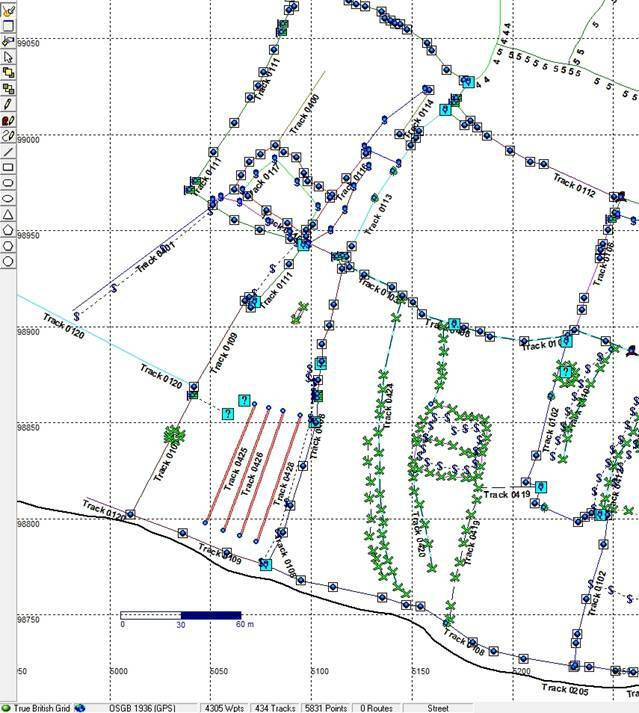 Show that you can then zoom into any part of the area or site survey to select which part to map. This data is then imported into a graphics program where you produce your final map which can contain as many layers of detail as you require. Figure 4. Show a map drawn using the above data. The style of lines and symbols used can be varied as much as you like. All if the above lines and symbols where either already in the graphics software, or created by the graphics software, or imported into the software. Figure 5. 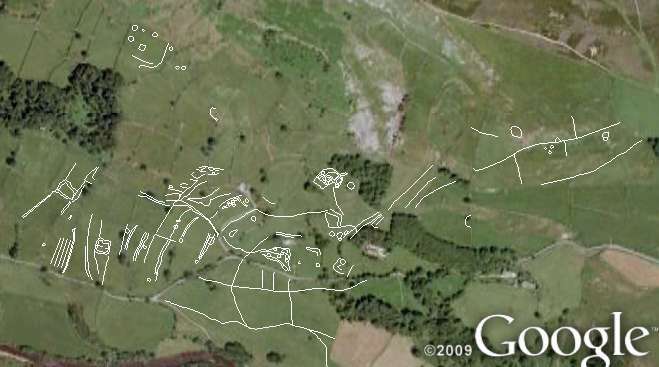 Chapters in the book show you haw you can use your GPS data in Google Earth (see below) and as a data layer on digital mapping. 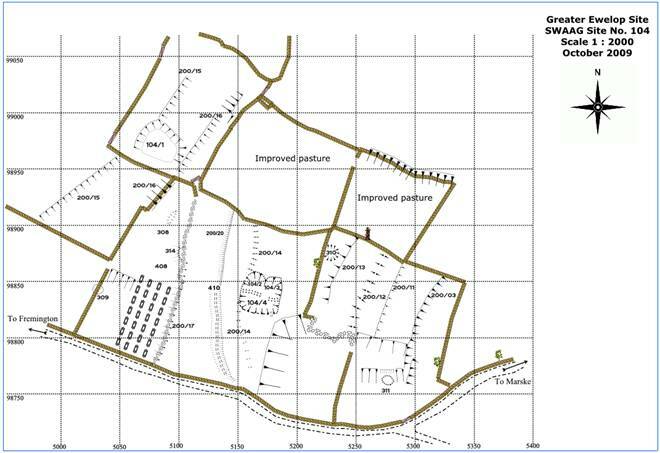 The above SWAAG GPS mapping procedure was presented as a workshop at Fremington, Reeth in March 2011, organised by Trevor Pearson. Peter welcoming 21 attendees at the CBA / SWAAG GPS Mapping Workshop at Fremington, when the use of navigation grade GPS instruments in archaeological landscape mapping was presented by Trevor Pearson (CBA/English Heritage) and Stephen Eastmead (SWAAG). SWAAG GPS Surveying Technology - 7 papers by Stephen Eastmead is licensed under a Creative Commons Attribution-NonCommercial-NoDerivs 3.0 Unported License. Based on a work at www.swaag.org.